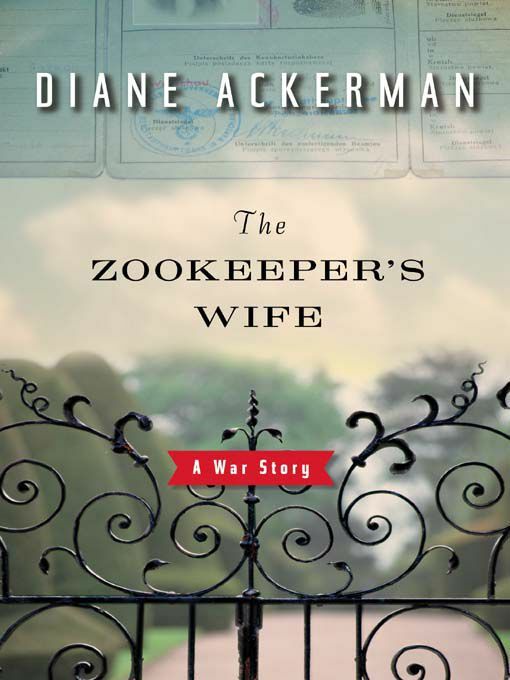 The Zookeeper's Wife, by Diane Ackerman. The Zookeeper’s Wife is enjoying a lot of well-deserved success. The book, by Diane Ackerman, is the real-life story of Jan Żabiński and Antonina Żabińska, who ran the Warsaw Zoo during the Nazi occupation of Poland in World War II and saved the lives of 300 Jews who had escaped the Warsaw Ghetto. Not only is their story well worth writing about—these acts of bravery that occasionally dot history give us all some faith that, as Hemingway said, “the world is a fine place and worth fighting for”—but Ackerman’s writing is beautiful. The film starring Jessica Chastain has also been well-received and has prompted people to once again seek out the excellent source material (and the unpublished diaries of Antonina which Ackerman based her book on). In a modern world where it seems like fascism and racial hatred is once again on the rise, the incredible story of the Żabińskis and the people they saved from Nazi death camps is an important one. It really does make you think about man’s inhumanity to man and what you would do if you found yourself in a similar situation. Would you speak out and act to save lives, at great danger to yourself? Or would you step into the shadows and seek to protect yourself and your family? Still, as incredible as the film and book are, the truth itself stands just fine on its own. As with many of the incredible stories of courage that came out of the Holocaust, some of the facts of the Żabińskis’ story are harder to believe than anything Hollywood might make up. The Żabińskis worked very hard and planned very carefully in their efforts to smuggle Jews through the zoo to safety. As you might imagine, the Nazis were very good at two things: finding and killing Jews and arresting (and executing) people who tried to help Jews. It was incredibly dangerous, and the Żabińskis couldn’t do it the way it’s depicted in the film, just stuffing people under supplies in a truck and whisking them away. They would have been searched before they were too far along, and that would have been that. Dr. Ziegler, the insect-obsessed German officer who assists the Żabińskis, was very real, but his role in helping them is a mystery—and was a mystery even to Antonina! We know for certain that he gave Jan access to the Ghetto so Jan could contact Szymon Tenenbaum, and this ability to pass in and out of the Ghetto was crucial to the Żabińskis’ work. What we don’t know is how much further Ziegler went to assist them, and how much he knew of their true intentions. While it might seem crazy that he did all he did simply because he was obsessed with insects ... it’s actually not the craziest Nazi story we’ve ever heard. Unlike the records-obsessed Nazis, the Żabińskis kept no records of the people they saved. This is understandable; they had enough problems organizing the escapes and protecting themselves from exposure and arrest. Certainly, no one would have wanted a stack of papers lying around clearly showing what they were up to (contrast that with the Nazis, whose love of documentation and paperwork came back to haunt them at the Nuremberg Trials after the war). As a result, we still don’t know the identities of most of the people the Żabińskas saved, which is remarkable. The Jews who were sheltered by Oskar Schindler, of course, are ​well-known—but this is in part because Schindler used the Nazis’ own record-keeping and bureaucratic systems in order to save them. The Żabińskas didn’t take names. Antonina and Jan often had as many as a dozen people hiding in the ruins of the zoo and their villa at a time, and these people had to be absolutely invisible. Any curious onlooker or unexpected visitor who noticed anything out of the ordinary could have brought disaster down on them. In need of a way to communicate with their “guests” that involved nothing unusual or noticeable, Antonina, in fact, did use music. One song meant that trouble had come, and everyone should be silent and stay hidden. Another song conveyed the all clear. A simple, effective code, easily communicated in a few short seconds and easily remembered—and yet completely natural. The music code might seem obvious and easy, but its elegance and simplicity ​demonstrate that the Żabińskis were smart—and the amount of thought they put into their efforts. The Żabińskis were named Righteous People by Israel after the war (Oskar Schindler was, too), an honor they clearly deserved. 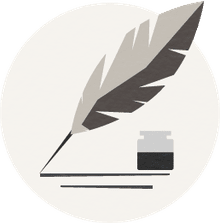 But while many people assume that the sort of compassion and courage demonstrated by the couple could only come from a strong religious background, Jan himself was an avowed atheist. Antonina, on the other hand, was reportedly quite religious. She was a Catholic and raised her children in the church. There was, however, no friction between the two despite their different views on religion—and clearly, Jan’s atheism had no negative effect on his ability to perceive and resist injustice and evil. Speaking of religion, it’s worth noting one final incredible fact—the Żabińskis transformed the zoo into a pig farm for several reasons. One, of course, was to keep the place up and running after the Nazis had killed or stolen all of the animals. The other was to slaughter the pigs for food—food they then smuggled into the Ghetto, where the Nazis were hoping starvation would save them the trouble of having to simply murder the tens of thousands of Jews they had imprisoned there (something they eventually did when they liquidated the Ghetto). Jews, of course, normally are forbidden to eat pork, but as a sign of how desperate they were, the meat was gladly accepted—and routinely consumed. Consider for a moment your own cherished religious or other convictions, your own rules about how you live. Now imagine giving them up and changing them just to survive. Diane Ackerman’s book is very accurate and hews very closely to the facts as we know them. The film adaptation ... not so much. But the story of the Żabińskis hasn’t lost any of its power to amaze, to inspire, and to warn us not to ever allow something as terrible as the Holocaust to happen on our watch. How Is Holocaust Remembrance Day Observed by the Jewish Community?